Azerbaijan has emerged as a geopolitical player and an insurer of European energy security without any rival as was declared "to be and will be one of the main objectives in the years ahead”. The parties to the project voiced commitment to make this ambitious plan a reality and announced the route as a core of the strategic energy partnership with Azerbaijan. “Azerbaijan’s gas produced in the Caspian Sea will, in the coming years, be the only new gas source for the European consumers,” President Ilham Aliyev said at the meeting. Ankara reassured the EU, saying in Baku that the country is determined both politically and economically about the Southern Gas Corridor. “The $45 billion Southern Gas Corridor is one of the most significant projects for the supply of natural gas to European Union countries,” Energy Minister Taner Yıldız said. With wonderful profile of a reliable partner, Azerbaijan has positioned itself as a trusted energy partner to the West and complied with its obligations in all major projects. Azerbaijan’s strategic significance in the east-west supply chain increased with the rise of natural gas on Azerbaijan’s offshore lands and changed the core drivers behind the Southern Gas Corridor initiative. Azerbaijan’s firm stance and wise energy policy breathed life into the Southern Gas Corridor, which later become a relief for European politicians’ gas supply puzzle that become more difficult over the last year due to the protracted conflict in the Middle East and in Ukraine. Diversified energy sources and transportation routes in the region, meets the interests of main buyers of oil and gas of Azerbaijan, as well as interests of the whole European continent. President Ilham Aliyev noted that the diversification of routes is important, however, when the source remains the same, the situation doesn’t change very much, adding that the diversification of sources is important. The Southern Gas Corridor, a key project of the country's energy diversification policy, is the only westward route for exporting hydrocarbons from the Caspian with prospects of covering other “blue energy” sources. The Southern Gas Corridor will help Europe to achieve its own strategic objective, that is, to diversify supplies of natural gas, said Matthew Bryza, the former deputy assistant secretary of state for Europe and Eurasia, former US ambassador to Azerbaijan, former US co-chair of the OSCE Minsk Group, and director of International Centre for Defense and Security in Tallinn. “New Southern Gas Corridor is a highway which will expand significantly, helping Europe to achieve its own strategic objective – to diversify supplies of natural gas,” he told in an interview with Trend during "This week in focus" program. As European countries are too dependent on fuel and gas imports, one of the key objectives of the EU strategy is to keep its energy market open to countries outside the EU. Maros Sefcovic, EU Commission Vice-President for Energy Union following the Baku meeting said, the EU is extremely tired to worry every summer about energy supplies for the coming winter, adding that energy security issues are controlled by top political leaders. Anne Korin, co-director of the Institute for the Analysis of Global Security (IAGS) and a senior adviser to the United States Energy Security Council, also shared the views. Korin said as long as Europe is intent on diversifying its gas supply away from Russia, Azerbaijani gas will remain a very attractive option. “Azerbaijan, with its very significant gas reserves and its track record, would be a reliable source of supply expansion for Europe. Certainly the Ukraine situation increases the urgency, appeal of, and support for the Southern Corridor option,” she wrote in an e-mail to AzerNews. Korin further explained that European options for supply diversification vary from North American LNG to supply from the East Med and of course Central Asia and - less attractive due to the volatile nature of the region - MENA. “Currently, there is the less likely option that Europe will become more flexible about welcoming options to natural gas itself for power generation for example by becoming less hostile toward coal and nuclear,” she said. Speaking about any delays in the Southern Gas Corridor realization due to rivalry with possible routes, Korin noted a favorable period for the project. Surviving in a severe rivalry for bringing gas to Europe, the Southern Gas Corridor faced doubts of some opponents who indicated less feasibility of the project due to small gas volumes. The Southern Gas Corridor being touted as Europe’s solution to reduce energy dependency on an unreliable Russia has secured strong political backing and even financial support, and its participants pledged to ensure the security of the route, which cannot be said in relation to other proposed routes. The only downsize of the route could be named the volume of the gas it can deliver, but the potential to double its capacity and other Caspian’s countries rush to join the route minimizes this side effect. Even if there would not be any other source, Azerbaijan’s proven gas reserves exceeding 2.5 trillion cubic meters can be enough guarantee for the project realization. The Southern Gas Corridor has the potential to meet up to 20 percent of the EU’s gas needs in the future, with potential supplies from the Caspian Region, the Middle East, and the East Mediterranean in the longer term. Edward Chow, a senior fellow in the Energy and National Security Program at CSIS, said that there is no other readily available new gas from the region at this point. “All the parties must concentrate on executing the agreements they have already made. There is a risk that some of the parties may be distracted by other developments,” Chow wrote in an e-mail to AzerNews. He believes what is critical at this point is to proceed with the successful implementation of the long-planned Shah Deniz II gas field development and the TANAP/TAP pipeline projects to bring additional gas from Azerbaijan to Turkey and Europe. “If the current Southern Corridor projects are successful, they can pave the way for other gas down the road to fulfill the corridor's full potential. If these projects are delayed because of distractions or desire to revise existing agreements, then the opportunity will be lost and it will even jeopardize the future of other gas developments in the region that could supply Europe,” Chow emphasized. Following the Baku meeting, Sefcovic said that Europe considers doubling (up to $20 billion cubic meters per year) of purchase volumes of gas on the Southern Gas Corridor. The other Caspian states, including Turkmenistan which has repeatedly voiced westward export intention, can join the route. 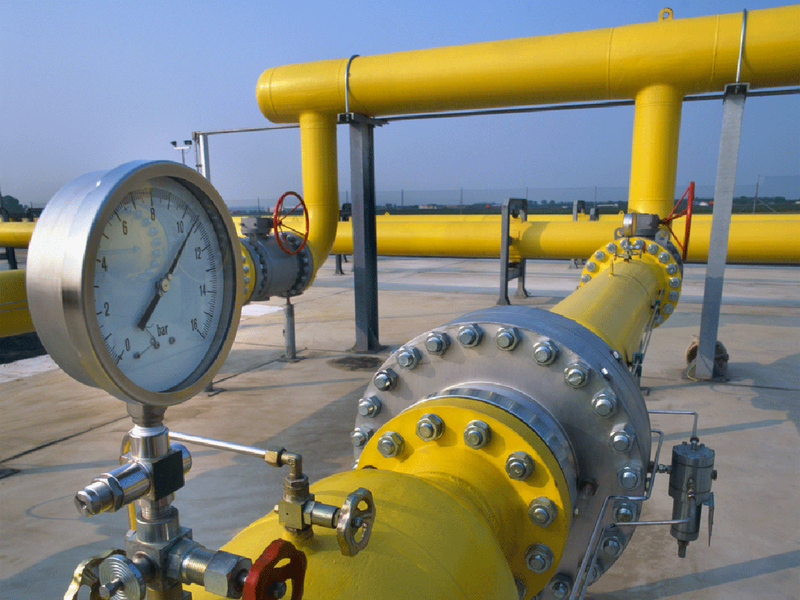 The proven and probable gas reserve in the Caspian Sea exceeds 8 trillion cubic meters, according to EIA estimations.